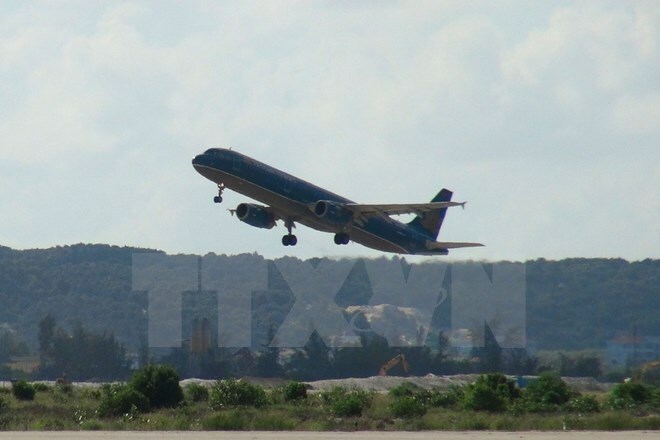 Hanoi (VNA) – The national flag carrier Vietnam Airlines (VA) plans to adjust its schedule for flights between Hanoi, Ho Chi Minh City and China’s Hong Kong and Guangzhou due to the impacts of storm Hato in China. Flights VN592/593 between Hanoi and Hong Kong and VN594/595/599 between Ho Chi Minh City and Hong Kong on August 23 will be delayed. The carrier will also delay flights VN502/503 between Ho Chi Minh City and Guangzhou, and VN506/507 between Hanoi and Guangzhou on August 23.